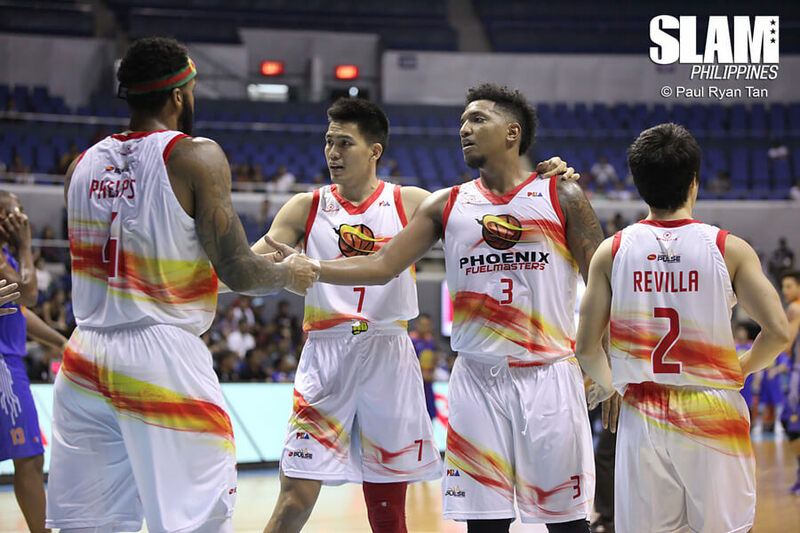 The Phoenix Fuel Masters got back on track after their first loss of the conference. They absolutely dominated the TNT KaTropa to win by 30 points in a bounce-back win. This time around, it was the locals that starred for the Fuel Masters. Jason Perkins led all scorers with 22 points. Matthew Wright added 16 points and six treys. Eugene Phelps scored 15 points and grabbed 11 boards. Anthony Semerad nailed a three-pointer to give TNT a three-point lead two minutes into the game. That was the last time TNT was competetive in the game. The Fuel Masters went on a 16-0 blast to take over the game. It was a total team effort as Phelps and Wright sparked the run while Calvin Abueva and RJ Jazul capped it with big baskets. Things only got worse for the KaTropa in the second period. TNT was held scoreless for seven minutes as the Fuel Masters went on a 26-0 run. Perkins started the run with big hits from the outside and the rest of the team joined in after that. Phoenix built a lead as big as 38 points before settling for a 30-point lead heading into halftime. The game was essentially over at that point. Barangay Ginebra, aiming for a third straight Governor’s Cup crown opened their campaign with a win over the Columbian Dyip. Last conference’s Best Import, Justin Brownlee led the way for the defending champions with another all-around effort. He had 24 points, 20 rebounds, five assists, three steals and three blocks. 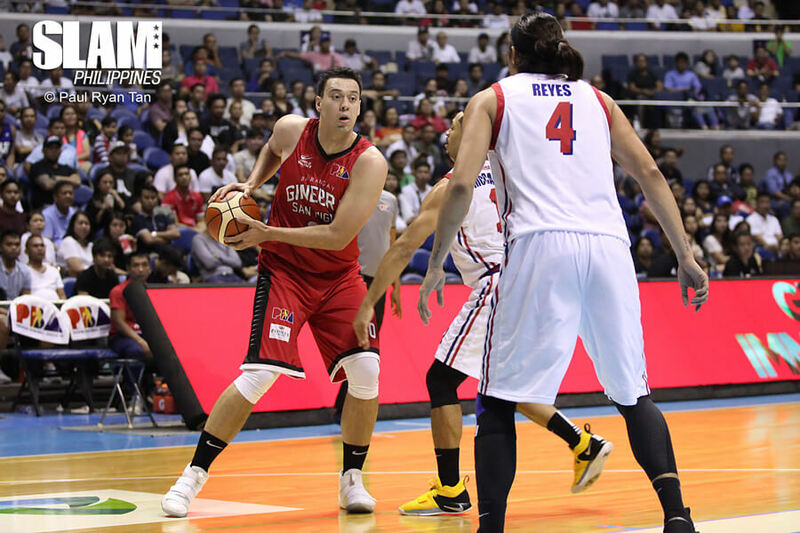 Greg Slaughter and Japeth Aguilar combined for 28 points and 16 rebounds. Columbian gave Ginebra all they could handle early in the game. The Barangay couldn’t pull away fully from the Dyip as Jerramy King and Rashawn McCarthy kept their team afloat. Midway through the third period, Ginebra took a 10-point lead and looked like they were going to pull away. McCarthy and Eric Camson teamed up to lead the Dyip on a 17-7 run to close the quarter, pulling even with Ginebra. Unfortunately, the Dyip couldn’t keep the same pace in the final period. After Columbian pulled even early in the quarter, Brownlee and Aljon Mariano teamed up to lead Ginebra ahead by eight points. Aguilar and Tenorio added big baskets to help give their team a double-digit lead heading into the final minutes. Brownlee hit back-to-back three-point daggers to put the game out of reach as Ginebra took a 16-point lead in the final minute of the game.